The visitors of the island of Elba appreciate since ever the mild and dry summer climate, the beauty of the beaches and the variety of landscapes that make this island unique. 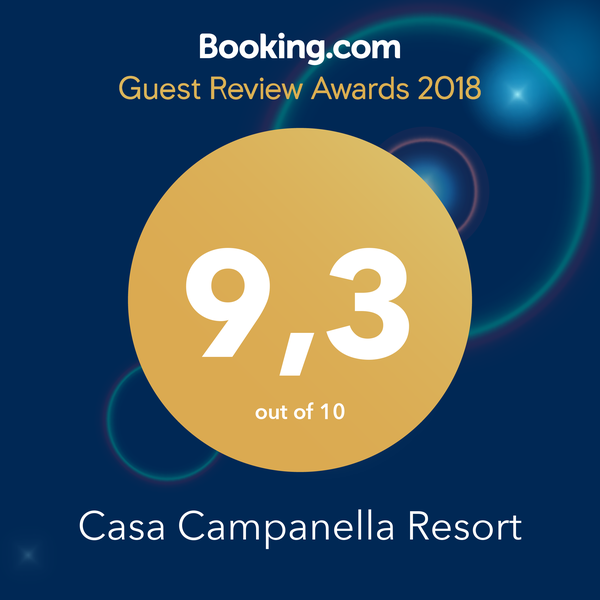 The Casa Campanella Resort suggests a 'different' vacation, offering to discover the life of the island outside of the highseason summer months. And there is a lot to discover: the rich cultural past, the splendid coast lines of the arcipelago, the natural and protected areas of international fame. Add to this the mineral museums and the mines telling the story of our grandparents mining life, the small fishing ports, the vivid markets, the fortified village centers and their military architecture, peacefull landscapes, a mild climate, the tasty food and the excellent local wines and you get all the ingrediants for a wonderfull vacation.